Check out the different IVs for Giratina in Pokemon GO! Use the reference chart in this guide to find out what are the individual values and CP for your Giratina! A Giratina you encounter after you defeat it in a raid boss battle has 100% Individual Value if it has a CP of 1931. Check Out What Is Individual Value Here! Giratina will receive boosts from two types of weather - windy & fog. If the Giratina you encounter has a CP of 2414 during this kind of weather, it has a 100% Individual Value (IV). Check Out Weather System Here! When you encounter a Giratina and it is neither foggy or windy, it will normally have a Pokemon Level of 20. At 100% Individual Value (IV), it has a CP of 1931. 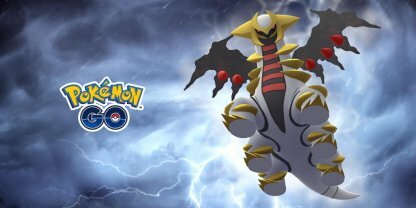 Foggy or windy weather will definitely affect the stats of the Giratina you encounter, lifting its Pokemon Level up to 25 from 20. If it has a CP 2414, it is at 100% Individual Value.